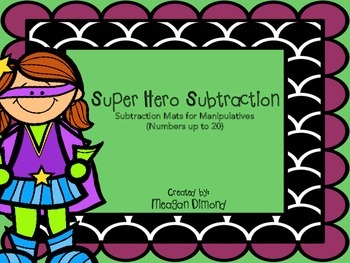 This activity allows students to choose a problem card and then solve the problem using manipulatives on the subtraction mat. 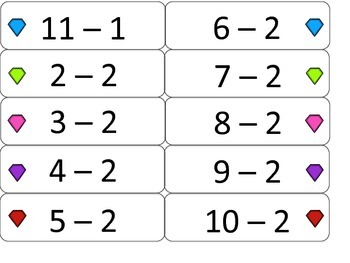 The included subtraction problem cards include numbers up to 20. 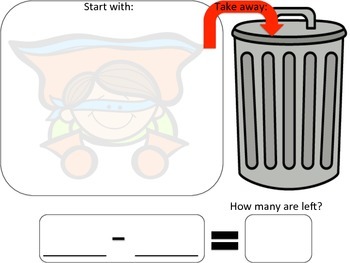 Students build the starting number with manipulatives, move the "take away" cubes into the trash can and then count the remaining manipulatives to determine the answer. A recording sheet is also included! Perfect for special education students who really need a visual to help them "get it".